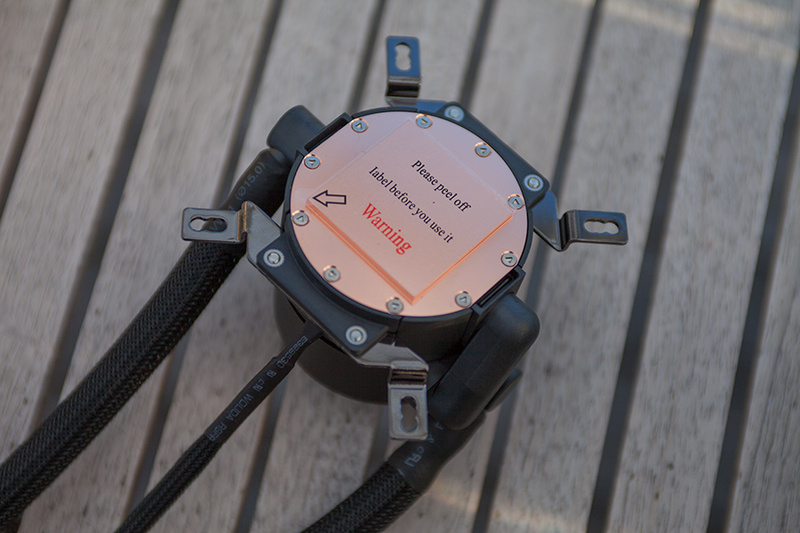 Choosing your CPU cooler can be a hard one. There’s a few things to have in mind before pressing the buy-button. 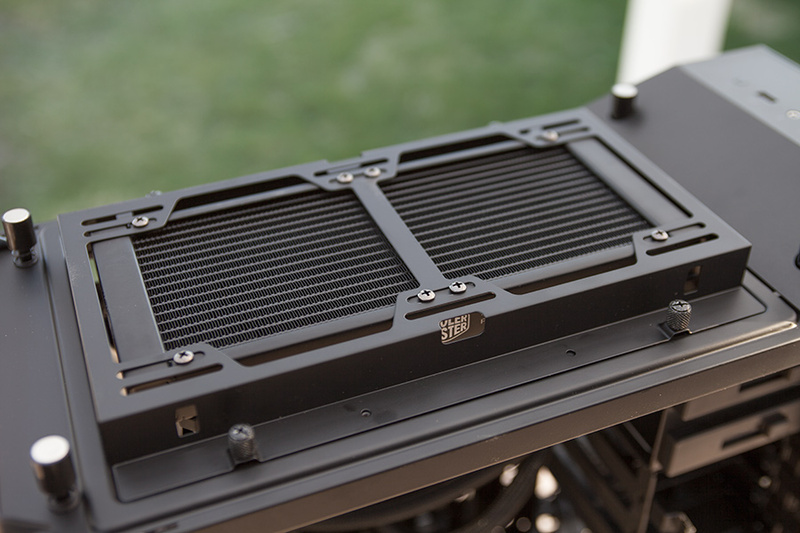 Cooling performance, sound level, available space inside your case and overall design needs to be considered for your choice. And not to forget, price. 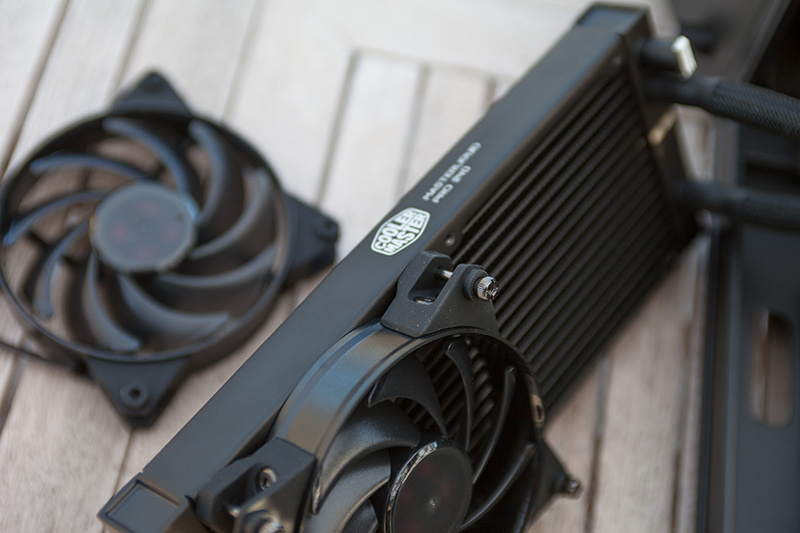 Cooler Master offers a variety of CPU coolers and I’ve got three very different ones from their Maker series. 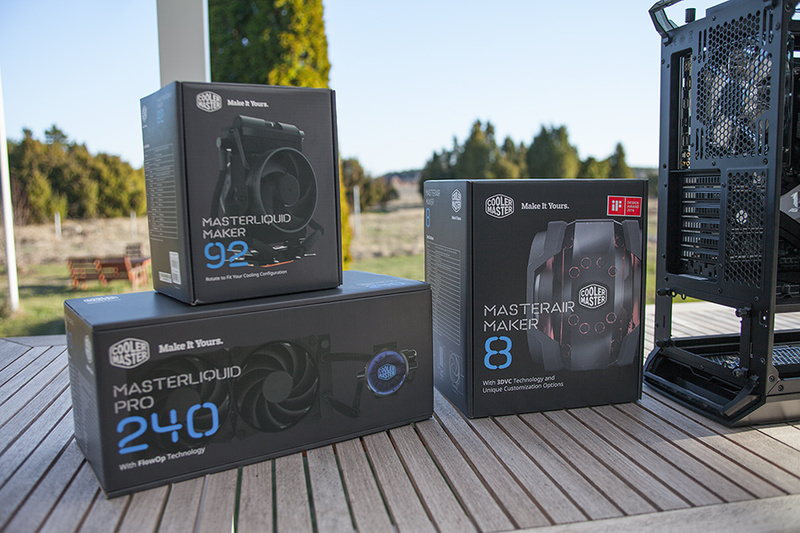 I will not present or explain them all, just the one I choose this time, the Masterliquid Pro 240. 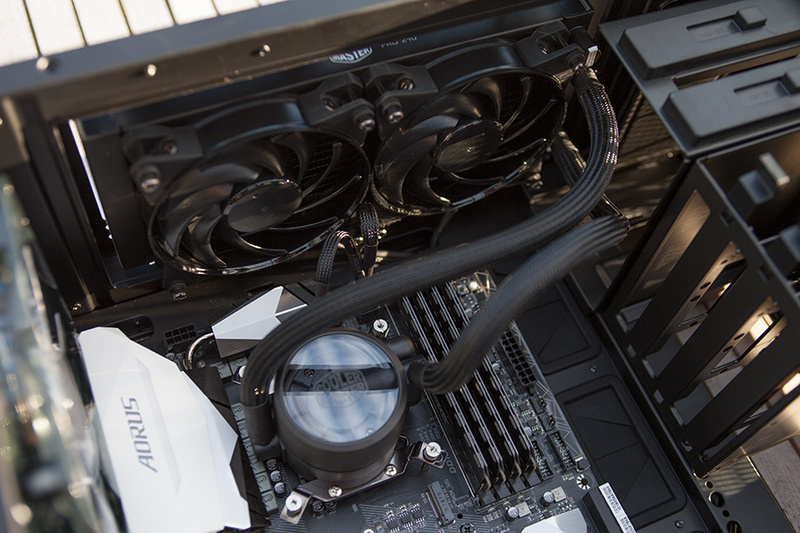 This is an all-in-one liquid cooler working with a 240 mm slim radiator and dual 120 mm fans. 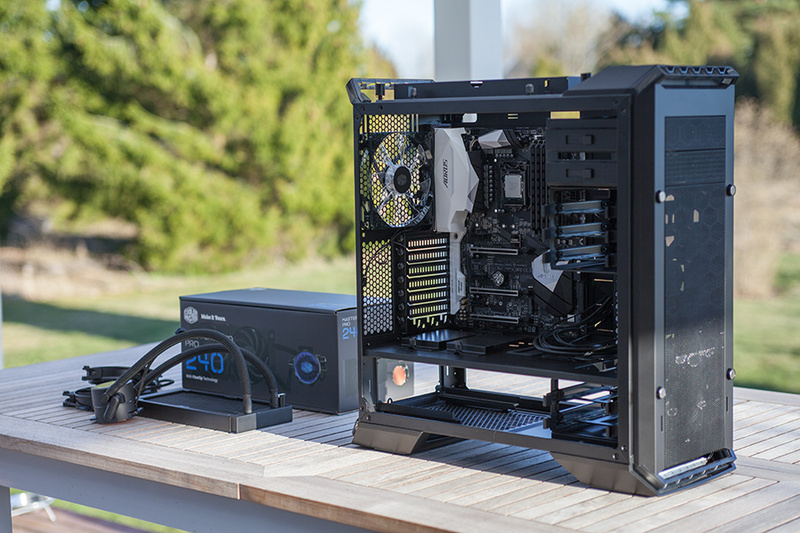 The pump is combined with the CPU- block as with most of AIOs on the market. 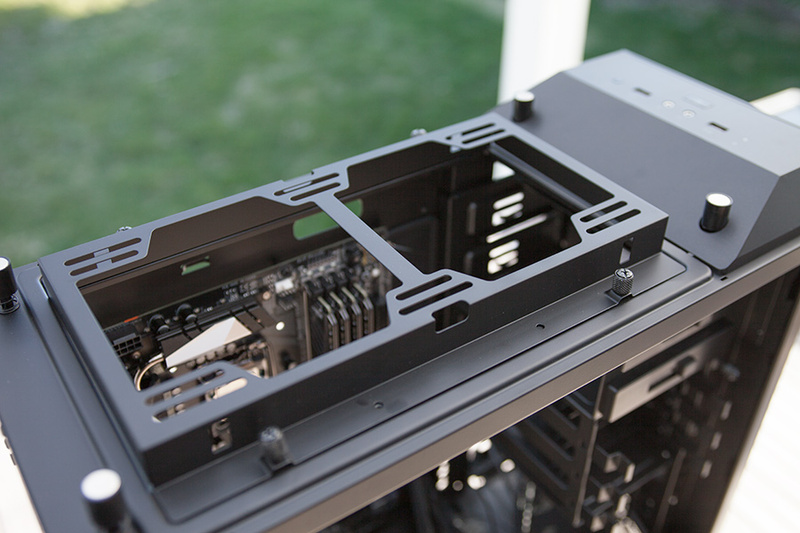 The top in this Pro 6 case is prepared for a 240 or 280 mm radiator. 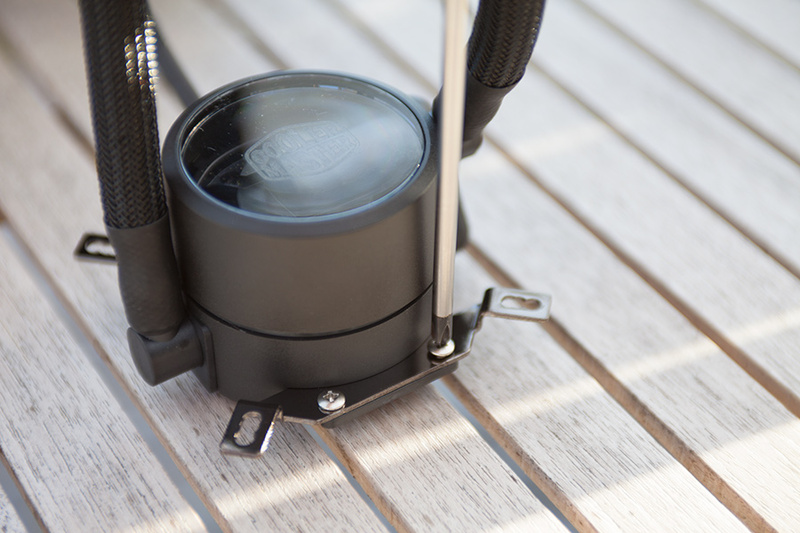 A perfect spot to mount this AIO and get exhaust heat ventilated out through the top. 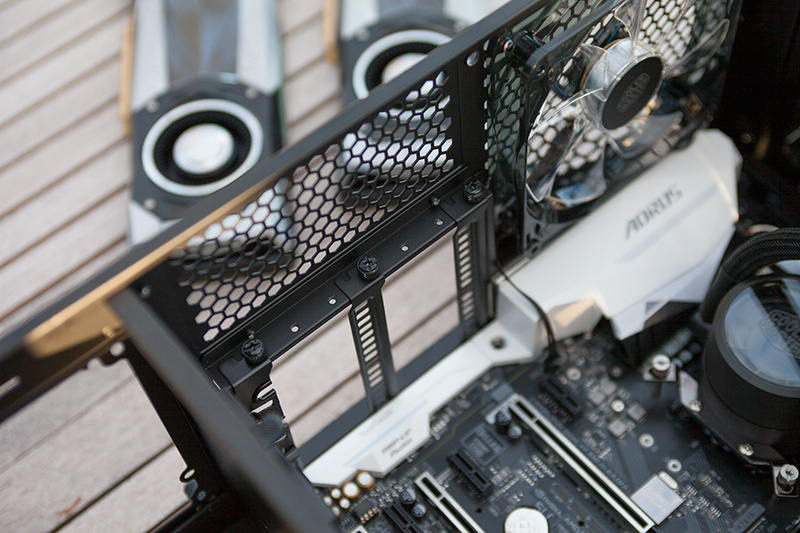 I always prefer radiators as exhaust, the hot air will then leave the case instead of beeing dumped inside. 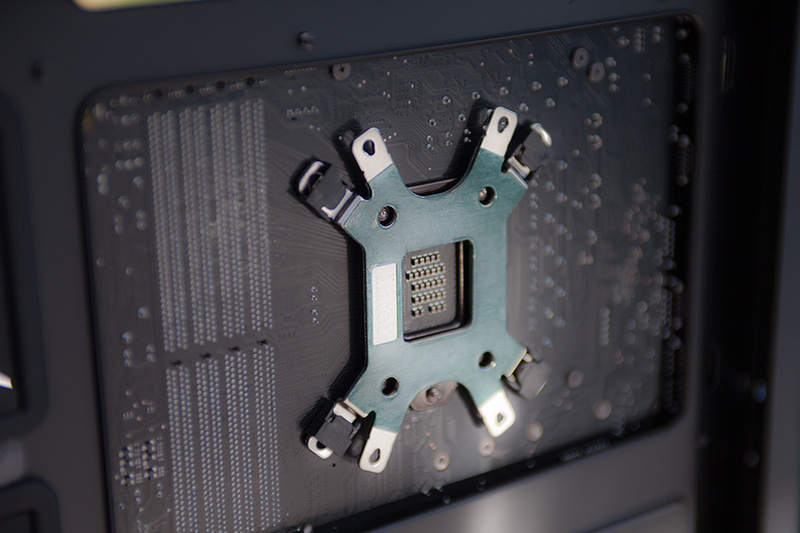 When it comes to mounting, the cooler is prepared for all modern (and some old) sockets for both AMD and Intel. 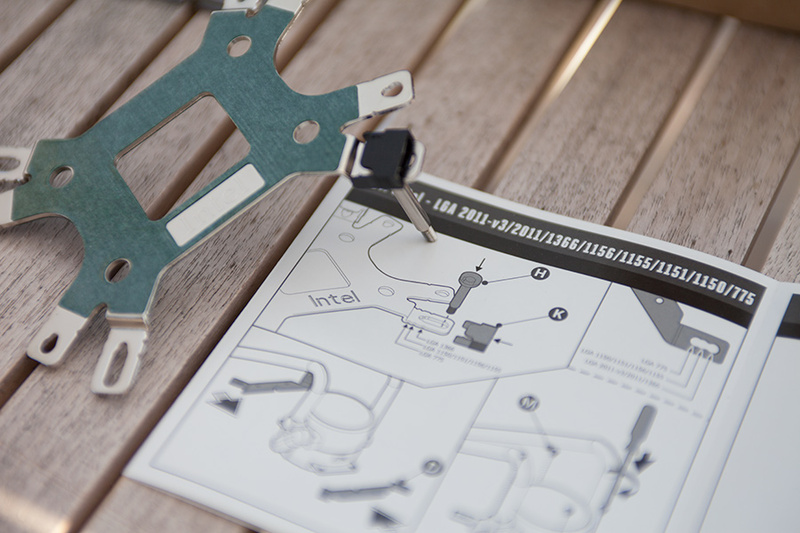 Just choose the right mounting kit and do follow the instructions. Thing will be alot easier if so. 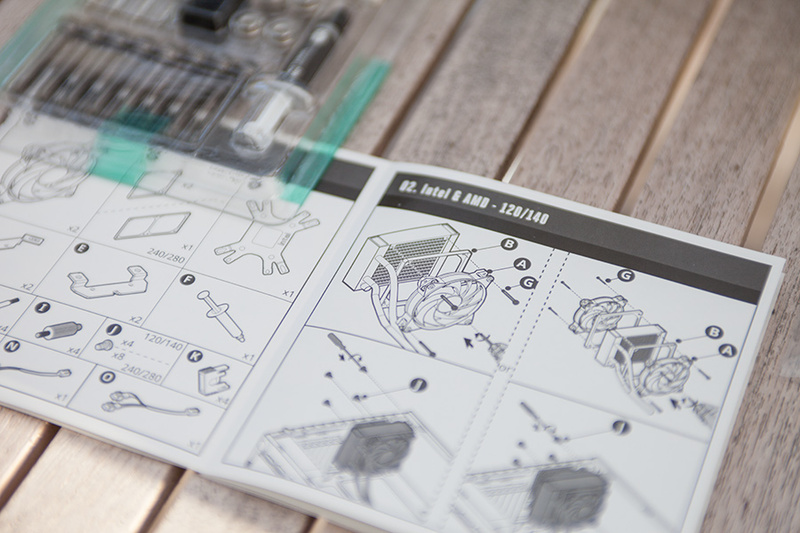 All parts may be crucial and their mounting order aswell. 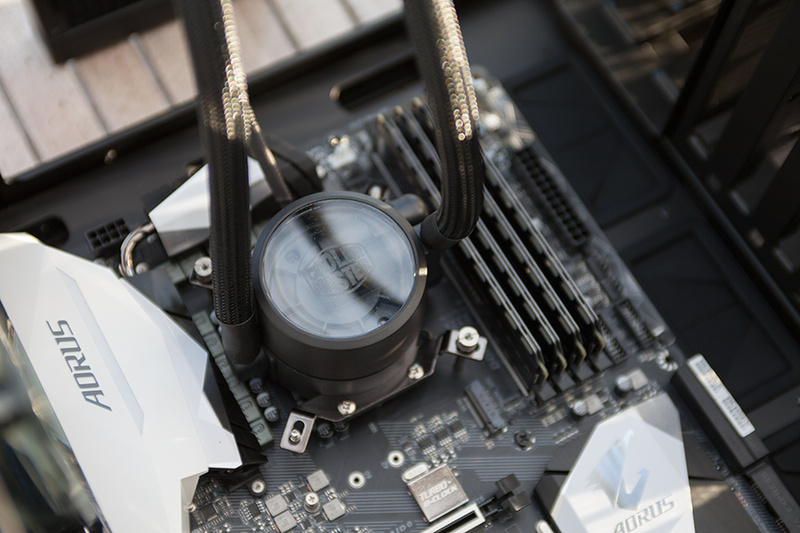 The most common mistake, the one that’s so easy to forget, the protective cover on the CPU block/pump. Keep it on as long as you can, but don’t forget to remove it. 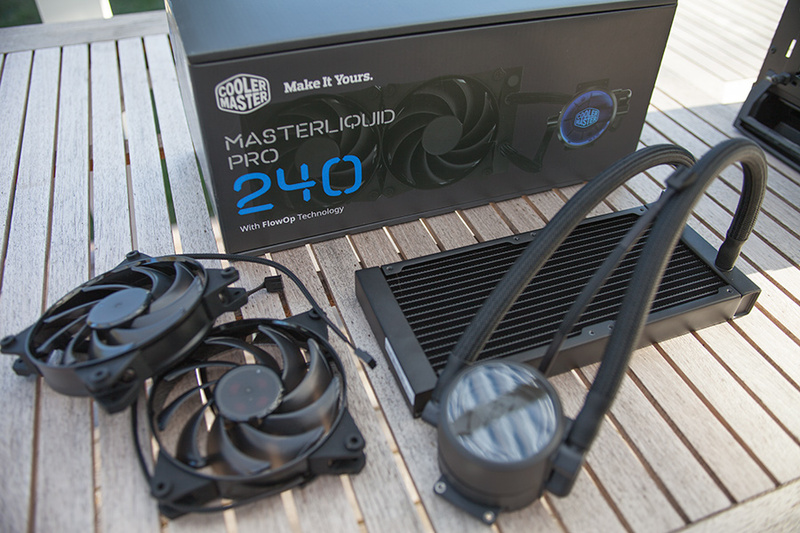 Masterliquid Pro 240 installed and ready to rumble, or probably not. I’m counting on this one to be quiet and effective. 240 mm rad size for a stock Core i5 is overkill but will allow me to run fans nearly at no speed at all. Next up, get them NVIDIA GPUs in!